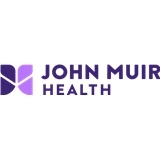 John Muir Health - Berkeley Outpatient Center (Berkeley) - Book Appointment Online! I love Dr. Elsa! She is super attentive and kind. She takes the time to get to know you and whatever issues you're having at the moment. Super knowledgeable and happy to provide excellent referrals! She is a outstanding Physician. She takes her time, listens and does a very thorough check up and check in.